See How Much You Can Save With Insulated Vinyl! With its innovative, energy-saving design, our insulated vinyl siding is cost-effective and eco-friendly. 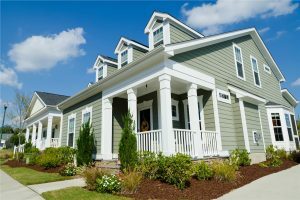 If you’re considering a siding upgrade in your Atlanta area home, you’ve probably heard of vinyl. Popular for its long-term durability and budget-friendly price point, vinyl is one of the most common exterior remodeling choices. But not all vinyl siding is equal—and why not choose the best of the best? At Tight Line Exteriors, our Atlanta insulated vinyl siding offers nearly the same affordability as standard vinyl but with state-of-the-art energy efficiency. Why Choose Us for Your Replacement Insulated Vinyl Siding? Customer Service: From continuously trained installers to on-site supervision, we treat your home with the care and respect it deserves. Communication: Throughout your replacement insulated vinyl siding installation, you can expect proactive and open communication. Cleanliness: Your home is your sanctuary, and we’ll be as careful with it as you are; our crews will never leave a messy jobsite for you to clean up. Cost-Effectiveness: We’re committed to superior remodeling services at the most competitive rates. With us, you’ll get the best replacement insulated vinyl siding for a fair and affordable price. If you’re ready to see the difference that Tight Line Exteriors can have on your home’s value, style, and weather resistance, then get in touch with us for more information about our insulated vinyl replacement siding. We’d be happy to discuss your unique needs and recommend the best siding product for you, whether that’s insulated vinyl or James Hardie ColorPlus® fiber cement. We’re proud to serve households throughout the Greater Atlanta area, including Marietta, Roswell, and Alpharetta. Wherever you call home, let’s make it a more comfortable and attractive place together! Call or complete our quick online form now to start with a free, no-obligation replacement siding estimate.